The Central Park Zoo may be small but it is certainly mighty. Only 6.5 acres in lovely Central Park, this zoological park is dedicated to educating the public on animal biology and conservation while caring for the creatures in a humane and environmentally friendly manner. The Central Park Zoo has several distinct zones housing all kinds of world-reaching species. Find red pandas at the Temperate Territory exhibit, baby goats ready for petting at the Tisch Children's Zoo, snow leopards, monkeys, sea lions, and more! Find grizzly bears in the Treena's Overlook area, explore the Polar Circle to find three species of penguins and their puffin brethren. Snow monkeys and black-and-white ruffed lemurs add to the monkey bunch while reptiles are in attendance with boas, dart frogs, and more! 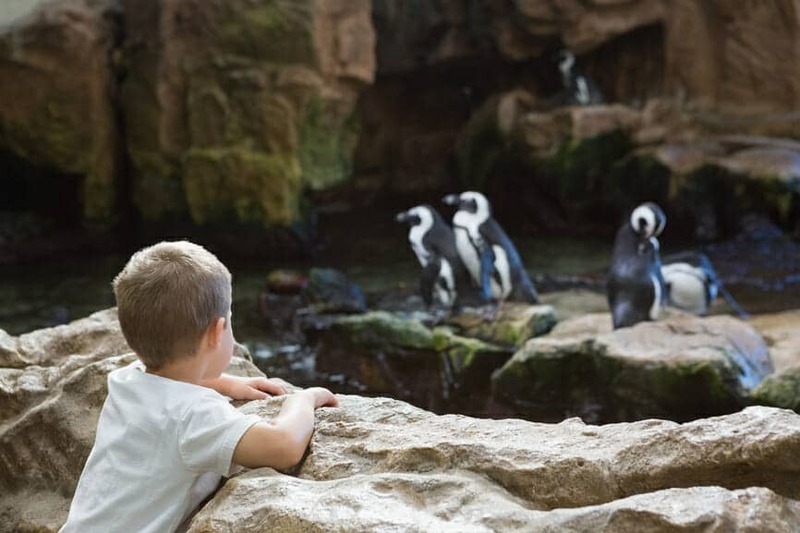 The zoo is home to a 4D Theater for multi-sensory film viewing experiences and you can also catch a live animal feeding in the penguin and sea lion exhibits. There are several educational programs for classes, students, and families to enjoy a deeper look into the workings of the park and also the science in caring for these amazing creatures.